Järvileasing Oy is a young rapidly growing leasing company. The founders have their roots in car retail and leasing business and thus are well aware of the industry dynamics. In fact Autotalo Järvi, a car retail company in the same group is one of the quickest growing companies in the industry nationally having increased it’s revenue from 0 to 20 million euros in just four years. For modern car leasing the key to success is ability to combine excellent digital customer service with efficient automated internal operations. As a startup Järvileasing soon realized that they needed a flexible system to relieve the personnel from the administrative workload caused by rapid expansion. By multiplying the leasing base quarterly for the last year, they found themselves in an unfavorable situation where a significant part of the resources had to be directed to double-checking the contract data, looking for the attachments, handling the delivery dates, and keeping track of the services and maintenance schedules. Additionally, while having the hands tied in managing the complex contracts and stacks of documents the invoicing could be delayed up to a month. By not being able to bill the customers in a timely matter, Järvileasing had to bind excess capital to finance the customers contracts. 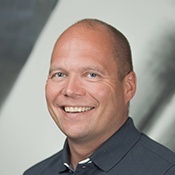 Good Sign’s digital services platform acts as a "digital era ERP” for Järvileasing but with dynamic service capabilities and with full automation. Good Sign is the master for customer contracts and data and handles the customer lifecycle all the way from composing an offer to detailing a contract through to automated billing – with reminders and customer portals to increase customer communication. The key is Good Sign’s rule-engine which is able to use contract data for timely automation decreasing lead time and avoiding errors caused by manual work. All these together mean quality service experience and fast processes for customers, back office with minimal manual labor, and a 15-20 days cash flow improvement. But this is only the start. Next step will be increasing efficiency within the whole ecosystem including customers and partners by automating distributed processes. We are here to help. You are welcome to call or email us or leave a contact request concerning case Fortum.